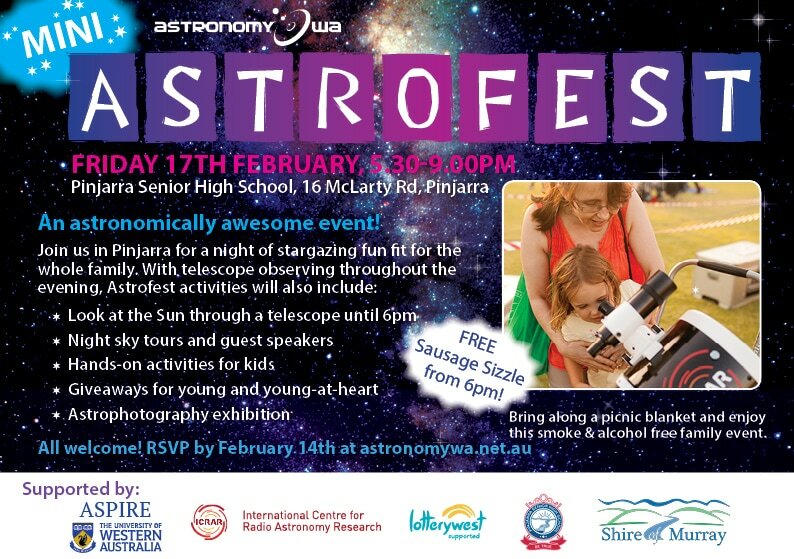 Join us on February 17th at the Pinjarra Senior High School for a mini Astrofest! RSVP your attendance at the Pinjarra Mini Astrofest, February 17th 2017. How many people (including yourself and any children) will be coming to the mini Astrofest? We will use this to remind you about the event, but will not add you to any email lists or provide your contact details to anyone else. We'll use this to keep track of attendees, but you won't need a ticket and we won't check names off a list.